Farm includes property that was formerly the site of a brothel as well as a speakeasy. An all-volunteer effort is under way to preserve a historic blueberry farm in Federal Way. The Hylebos Blueberry Farm was originally planted in the 1950s by the Olson family, according to the Mirror’s archives. According to the Washington Blueberry Commission, blueberries were first domesticated in Washington over 70 years ago. 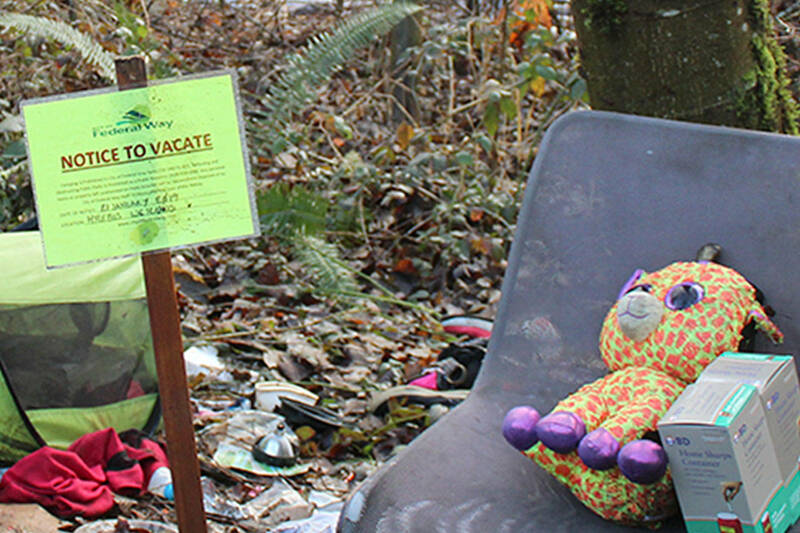 Shelley Pauls, longtime resident of the Federal Way area and a leader for We Love Our City, is especially passionate about keeping up the park on the property, 630 S. 356th St.
“We can’t lose this little treasure,” she said. We Love Our City is a local organization comprised of churches and residents devoted to helping the community through service. The group will host a Hylebos Blueberry Farm Park restoration event with volunteers July 14. The blueberries are currently being overrun by blackberry bushes, Pauls said. One of the goals of the volunteer day is to trim back the bushes so the blueberries can start to flourish again. The blueberry patch itself takes up 1 acre of space, but the farm sits on 5 acres and the entire wetlands makes up 125 acres. The farm includes property that was formerly the site of a brothel as well as a speakeasy, but now hosts a Korean church. Taylor Benson is another advocate of restoring the park and has helped Pauls get more involved in it. “The idea that I could bring my kids to the same place my grandparents went … having that history and that legacy” is a reason he is working to help restore it, Benson said. Jason Gerwen, the parks and facilities manager for the city, said there is a desire to restore the park to its former glory. “It just takes a dedicated couple of individuals to keep the passion going,” Gerwen said. Both Pauls and Gerwen are concerned that if they don’t take efforts to save the farm, it could soon lose viability. “We’re preserving heritage and we’re maintaining a community resource and asset that is invaluable,” Gerwen said. Pauls said everyone is welcome to the volunteer event. Volunteers are encouraged to wear long-sleeved shirts and pants, a hat and sunglasses and bring a water bottle. Lunch will be provided. Tools will be provided, but volunteers are welcome to bring their favorite garden tools, Pauls said. Volunteers can sign up by contacting Pauls at 206-235-6298 or shelleypauls@gmail.com.